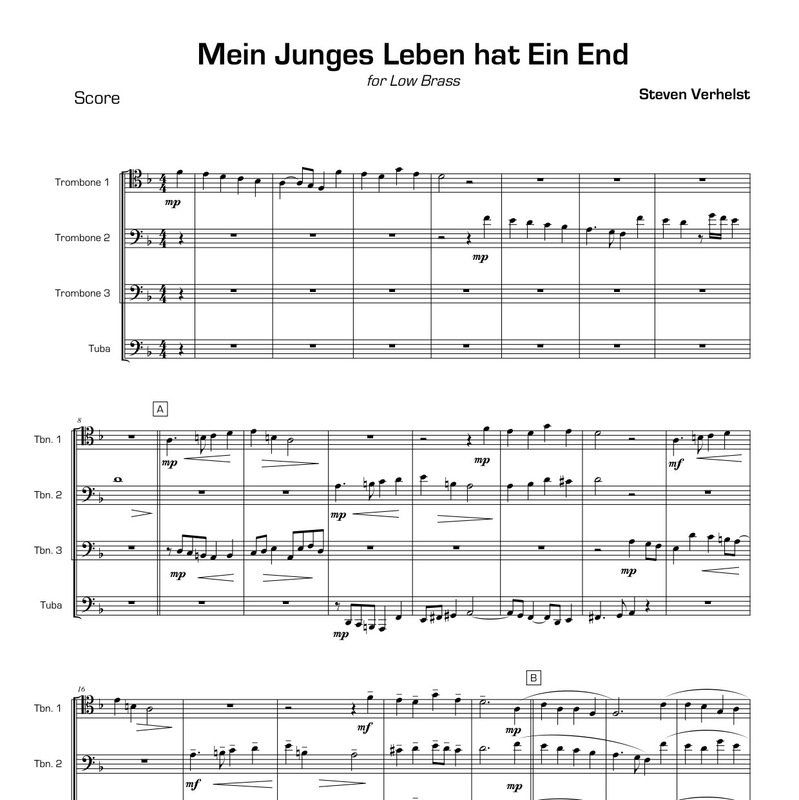 Mein Junges Leben hat Eind End was arranged for the New Trombone Collective. 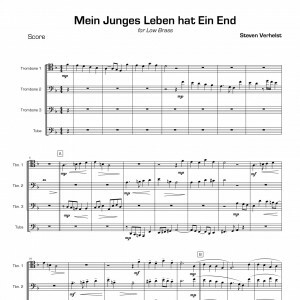 The six variations on the melody from Sweelinck’s Mein junges leben hat Ein End were initially written for organ. 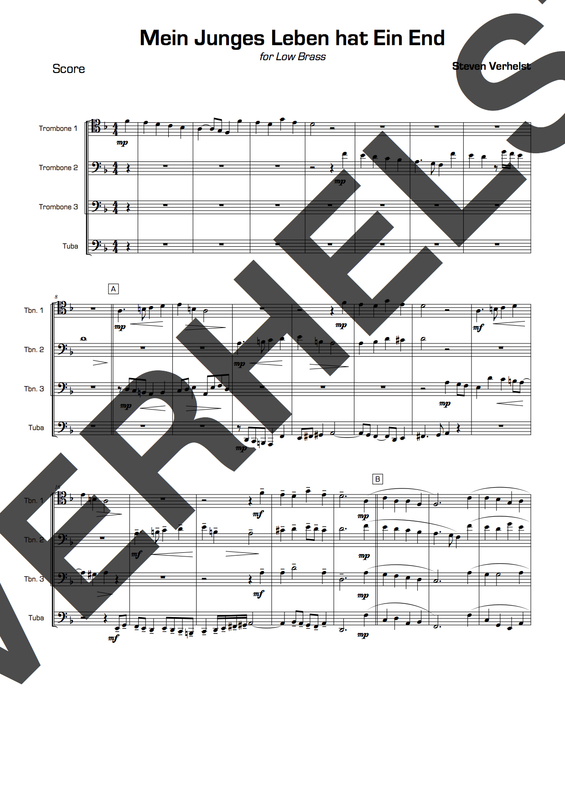 At the beginning the quartet is divided into four distinct voices in which we can clearly hear a dialogue between the four soloists. As the melody develops the harmony gains a more complex structure and the first variations are elaborated. Each voice still maintains its separate character but becomes gradually more absorbed into the ensemble. 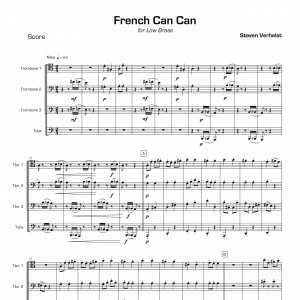 Ultimately the melody returns in its original form. 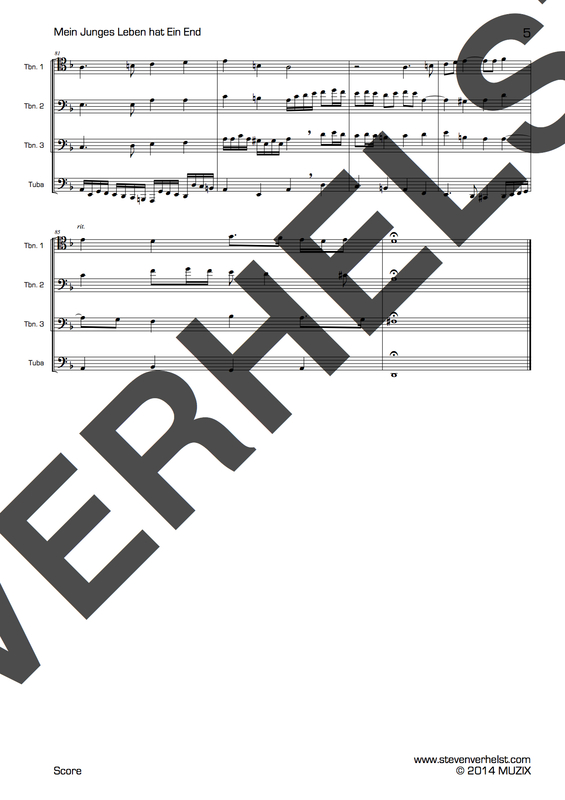 This popular arrangement for Trombone Quartet was adapted for Low Brass.